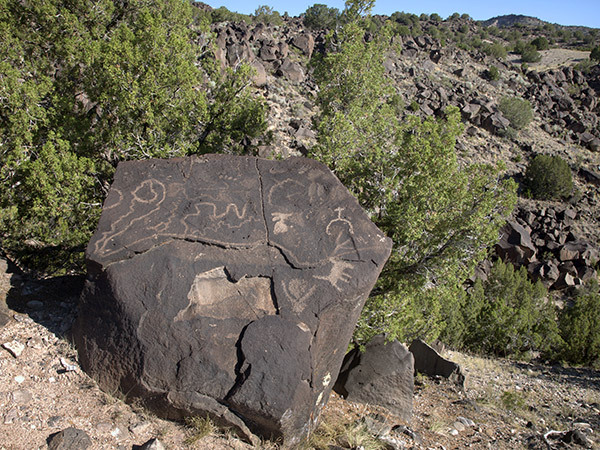 Inscribed on basalt boulders in the Rio Grande valley north of Santa Fe, this collection of more than 8,000 petroglyphs represents the work of a diverse range of cultural groups and time periods extending back 5,000 years. 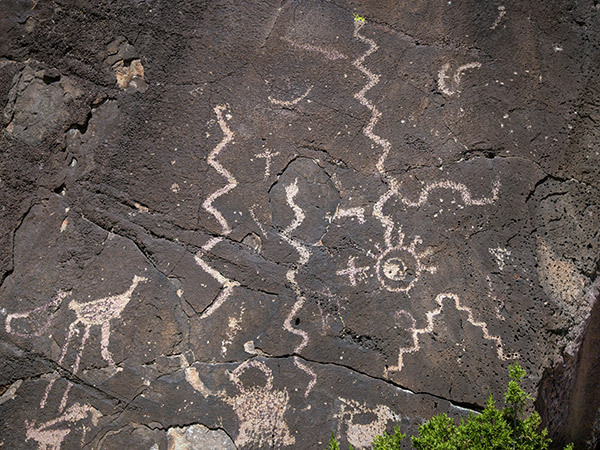 Present in different forms across the globe and representing spiritual, cultural, and historical expression, petroglyphs—also known as rock art—are comprised of artwork etched into rock. 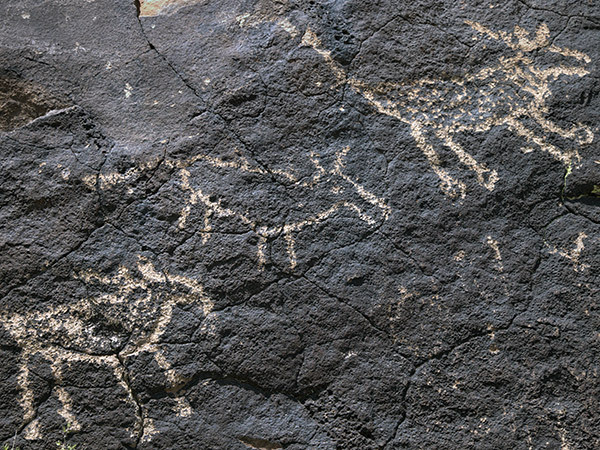 Located on the 36-square mile Mesa Prieta rock formation which includes more than 70,000 petroglyphs and other archaeological resources, this assemblage is enveloped in a natural landscape of sage, juniper, and high desert grasses. 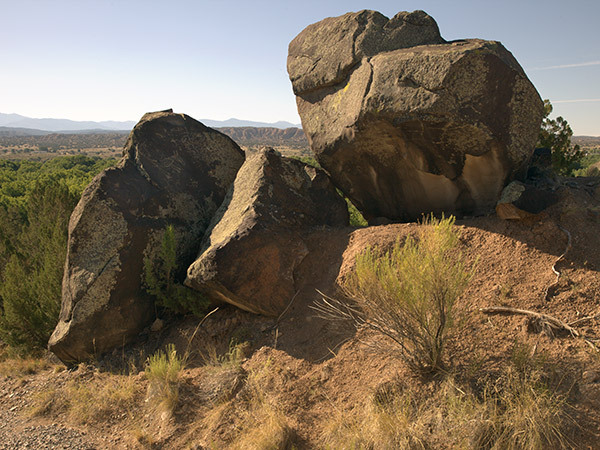 Providing panoramic views of the surroundings, the location was used for a variety of pre-contact functions, as demonstrated by shrines, agricultural features, and pot sherds and has continued to be occupied to the present day. 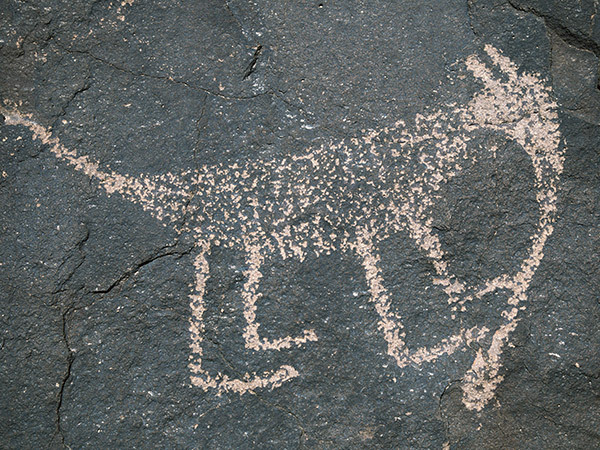 The rock art located at the 156-acre Wells Petroglyph Preserve, the most concentrated collection on Mesa Prieta, is representative of four distinct periods and includes depictions of hunting and ceremonial activities, animals, anthropomorphic figures, and geometric forms. 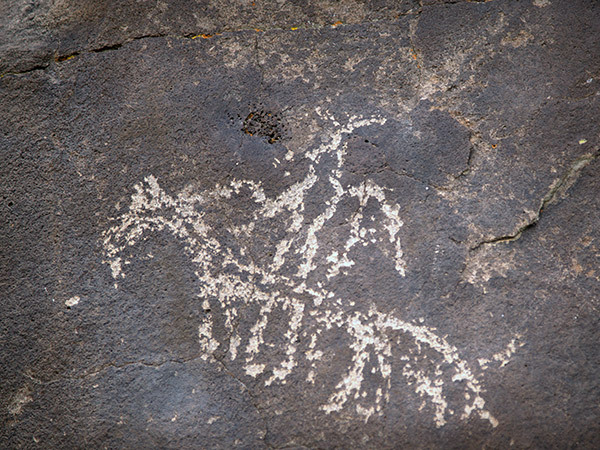 Though it is difficult to date petroglyphs, stylistic motifs and analogous evidence are often used to associate the artwork with distinct cultures. 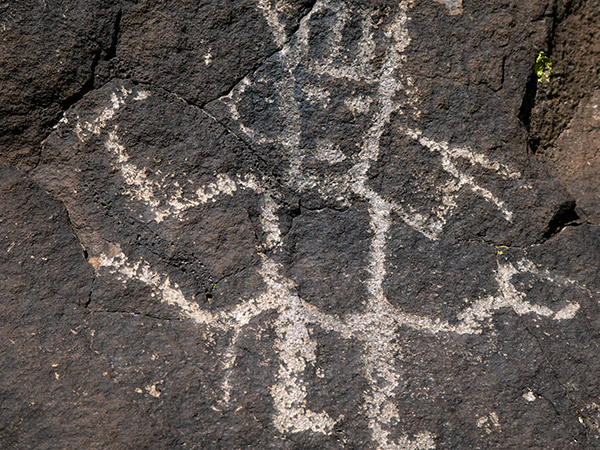 Christian crosses and other figures date to the historic Spanish Colonial period and an inscription accompanied by the date 1938 is attributed to workers from the Works Progress Administration. 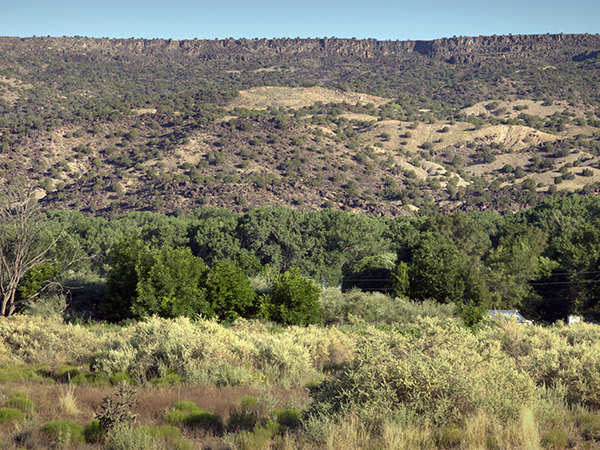 Artist and author Katherine Wells acquired the land in 1992 and donated the preserve to the Archaeological Conservancy in 2007. 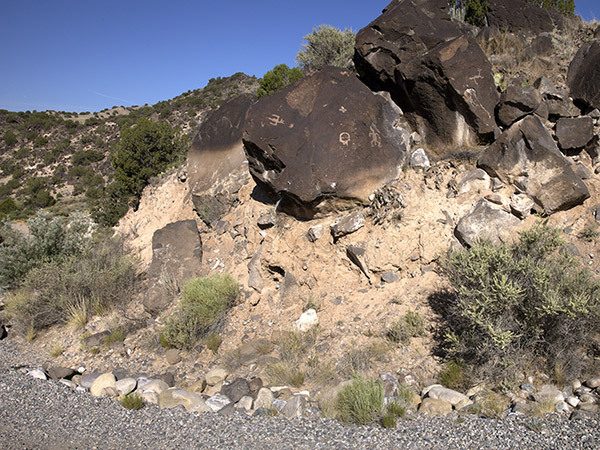 The Mesa Prieta Petroglyphs site was listed on the National Register of Historic Places in 1998.